Super super simple. A few scraps of patterned paper, an edge punch, a stamp, some baker’s twine and a fun sticker. 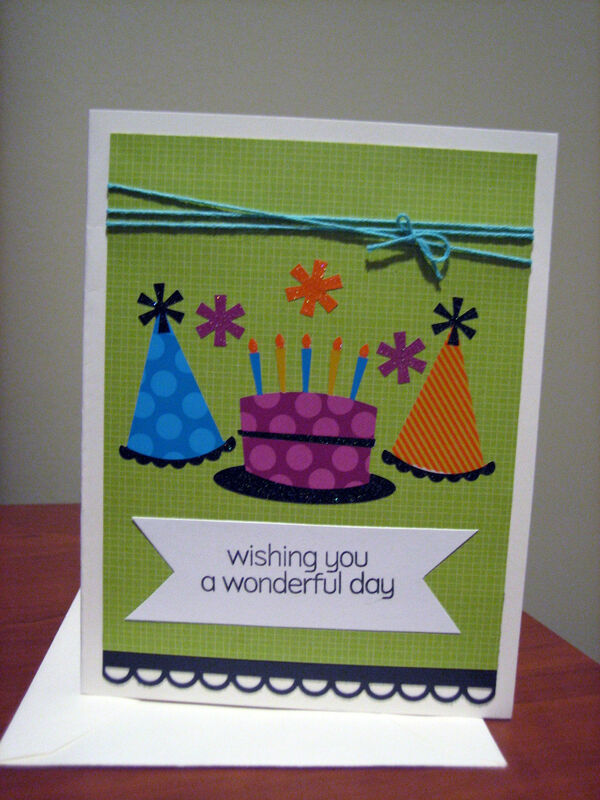 The perfect combination for simple but unique birthday cards. 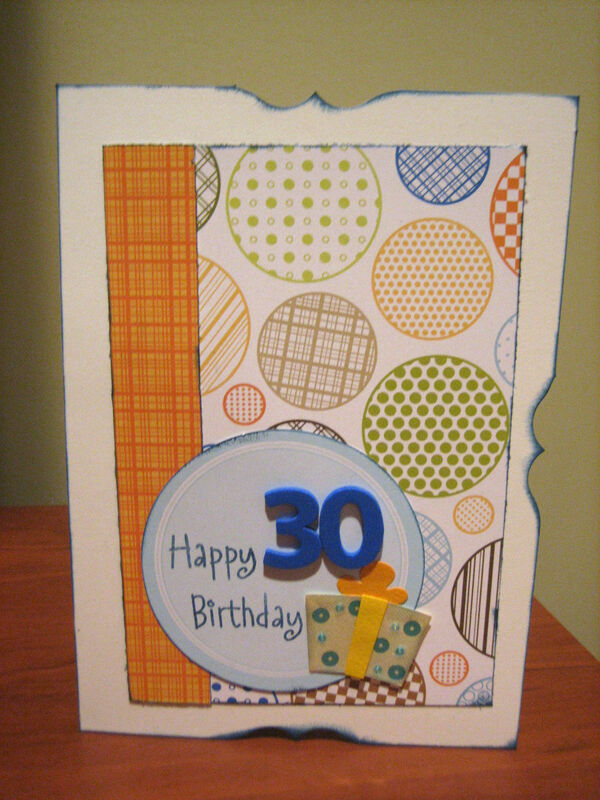 And to just make this a little more colorful, I’m adding an image of D’s 30th Birthday card I made for him in November. I love these flourish card bases from Martha Stewart Crafts, however I think they are no longer sold, sorry! Christmas jewelry Surf’s Up Dude!